On the 1st (Thu), spend an exhilarating day on the slopes at Coronet Peak. There's still lots to do: fly down the slopes at The Remarkables Ski Area, browse the exhibits of Queenstown Arts Centre, steep yourself in history at One Mile Power House, and push the limits with an extreme tour. For traveler tips, where to stay, and more tourist information, read Queenstown road trip site . Bangkok, Thailand to Queenstown is an approximately 16.5-hour flight. You can also do a combination of flight and bus. You'll lose 5 hours traveling from Bangkok to Queenstown due to the time zone difference. Finish your sightseeing early on the 1st (Thu) so you can drive to Fox Glacier. Kick off your visit on the 2nd (Fri): tour the pleasant surroundings at Glencoe Walk, then see the sky in a new way at Sir Edmund Hillary Alpine Centre, and then stroll through Mueller Hut Route. On the 3rd (Sat), you'll have a packed day of sightseeing: trek along Fox Glacier Te Moeka o Tuawe Valley Walk, don't miss a visit to River Walk, then take in the awesome beauty at Fox Glacier, and finally take in the exciting artwork at ReflectioNZ Gifts & Gallery. To find more things to do, other places to visit, and other tourist information, read Fox Glacier online attractions planner . Drive from Queenstown to Fox Glacier in 4.5 hours. Alternatively, you can take a bus. Finish up your sightseeing early on the 3rd (Sat) so you can go by car to Christchurch. Start off your visit on the 4th (Sun): see the interesting displays at International Antarctic Centre, then admire the natural beauty at Christchurch Botanic Gardens, then get engrossed in the history at Canterbury Museum, and finally pause for some serene contemplation at Christchurch Cathedral. Keep things going the next day: get to know the fascinating history of Crater Rim Walkway, then take a stroll through Port Hills, then contemplate the long history of Ferrymead Heritage Park, and finally pause for some serene contemplation at Cardboard Cathedral. Take the guesswork out of planning a Christchurch vacation by using our trip itinerary maker. Traveling by car from Fox Glacier to Christchurch takes 5 hours. Alternatively, you can do a combination of bus and flight; or take a bus. In August in Christchurch, expect temperatures between 14°C during the day and 2°C at night. Finish up your sightseeing early on the 5th (Mon) so you can travel to Wellington. 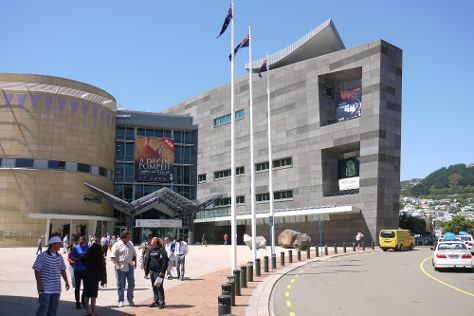 Kick off your visit on the 6th (Tue): identify plant and animal life at Tonga Island Marine Reserve, take an in-depth tour of The Great War Exhibition, and then examine the collection at Museum of New Zealand (Te Papa Tongarewa). Keep things going the next day: take an in-depth tour of Wellington Museum, steep yourself in history at Kotuku School Memorial, then look for all kinds of wild species at ZEALANDIA Sanctuary, and finally contemplate the long history of Wellington Cable Car. To see where to stay, maps, reviews, and more tourist information, use the Wellington trip itinerary maker website . Traveling by flight from Christchurch to Wellington takes 3 hours. Alternatively, you can do a combination of car and ferry; or do a combination of train and ferry. Plan for a bit warmer nights when traveling from Christchurch in August since evenings lows in Wellington dip to 9°C. Finish up your sightseeing early on the 7th (Wed) so you can travel to Rotorua. On the 8th (Thu), identify plant and animal life at Wingspan National Bird of Prey Centre and then look for all kinds of wild species at Rainbow Springs Nature Park. 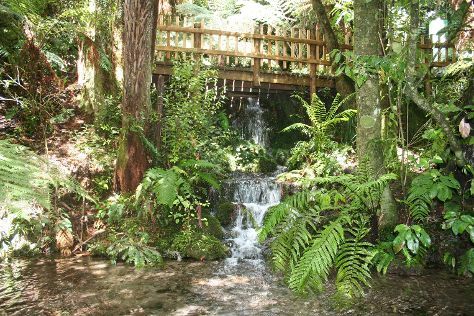 Get ready for a full day of sightseeing on the next day: look for all kinds of wild species at Paradise Valley Springs Wildlife Park, steep yourself in history at Buried Village of Te Wairoa, then look for all kinds of wild species at Redwoods Treewalk, and finally take in the natural beauty of Wai-O-Tapu Thermal Wonderland. For where to stay, ratings, traveler tips, and other tourist information, refer to the Rotorua planning website . Fly from Wellington to Rotorua in 3 hours. Alternatively, you can do a combination of flight and bus; or drive. In August in Rotorua, expect temperatures between 17°C during the day and 7°C at night. Finish your sightseeing early on the 9th (Fri) to allow enough time to travel to Paihia. 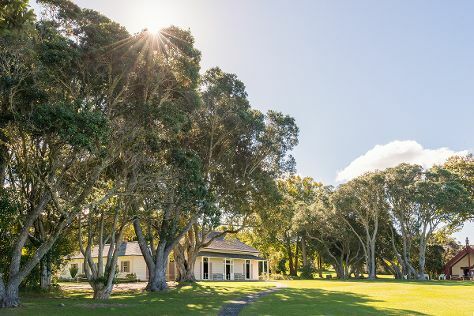 Kick off your visit on the 10th (Sat): admire the natural beauty at Waitangi Treaty Grounds, then admire the landmark architecture of St Paul's Anglican Church, and then get a new perspective on things with Boat Tours & Water Sports. Here are some ideas for day two: look for all kinds of wild species at Paihia Harbour, look for all kinds of wild species at Opua Forest Lookout Track, and then contemplate the long history of Akeake Historic Reserve Track. For reviews, ratings, where to stay, and more tourist information, refer to the Paihia trip itinerary planner . Traveling by combination of flight and taxi from Rotorua to Paihia takes 4.5 hours. Alternatively, you can fly; or drive. Finish your sightseeing early on the 11th (Sun) so you can drive to Auckland. Start off your visit on the 12th (Mon): test your team's savvy at popular escape rooms, then get engrossed in the history at Auckland Museum, and then take in panoramic vistas at Sky Tower. Get ready for a full day of sightseeing on the next day: look for all kinds of wild species at Butterfly Creek. To see where to stay, more things to do, reviews, and other tourist information, you can read our Auckland trip planner . You can drive from Paihia to Auckland in 3 hours. Other options are to do a combination of flight and bus; or take a bus. August in Auckland sees daily highs of 14°C and lows of 14°C at night. Wrap up your sightseeing by early afternoon on the 13th (Tue) to allow time for travel back home.